Grief takes many forms and David Lindsay-Abaire’s Pulitzer prize-winner takes a delicate scalpel to the subject, tenderly peeling back each painful layer until the wound is revealed and the healing can begin. In 2010, the film starred Nicole Kidman and Aaron Eckhart as the suburban American couple trying to come to terms with the loss of their four-year-old son in a street accident. 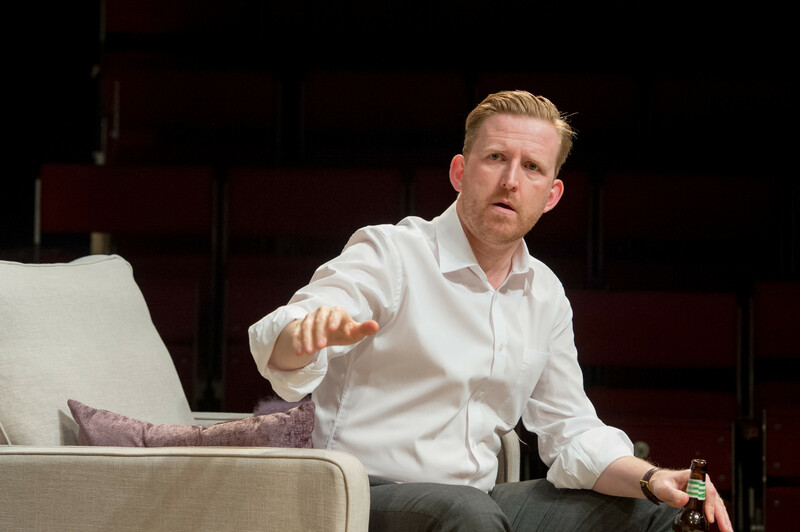 In Edward Hall’s carefully attuned production, it is the rake-thin Claire Skinner who plays Becca, lips pursed in suppressed emotion with Tom Goodman-Hill as Howie attempting to comprehend and cope with his wife’s conscious and unconscious intentions. 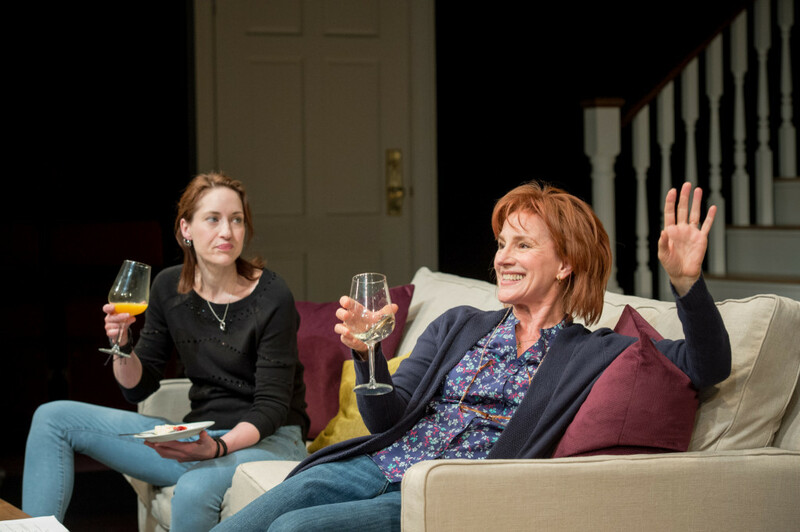 As with many modern American plays, Rabbit Hole becomes an efficient piece of conventional, naturalistic drama, a sofa-driven analysis of middle America in search of solution and absolution. What saves it from unbearable tweeness is Lindsay-Abaire’s meticulous avoidance of sentimentality. 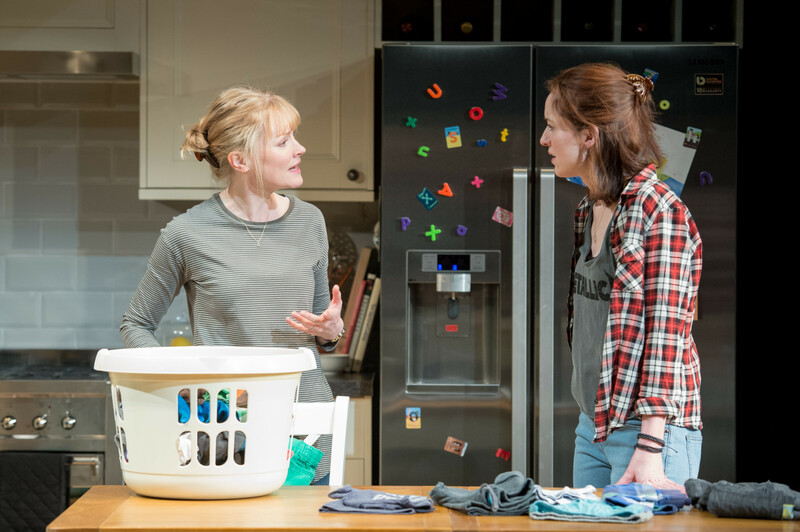 Becca and her mother, Nat – the wonderful Penny Downie almost unrecognisable in auburn wig – and Becca’s sister, Izzie (Georgina Rich) – constantly provide tart reminders of the wasp-nest confrontations, side-steps and denials that make up the conversations of a family in crisis. 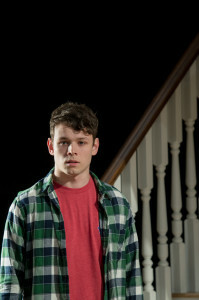 Izzy suddenly becomes pregnant, adding to Becca’s sense of loss. Nat too can be relied upon to draw clumsy parallels, of all things, with the Kennedy family’s unfortunate capacity to lose off-spring. Then there’s Howie, assuaging his misery with group therapy. But the real nexus of the piece lies in the contrasting reactions of Becca and Howie: for Becca it is to rid herself of all reminders, sell the house and move on; Howie wants to hang on to every last remnant. Lindsay-Abaire has one further card to play and psychologically, it’s an ace. The meeting between Becca and Jason, the young driver of the car that killed her son’s sweet, innocent story of his Prom date allows Becca’s pent-up emotional sluice gate to break and open. 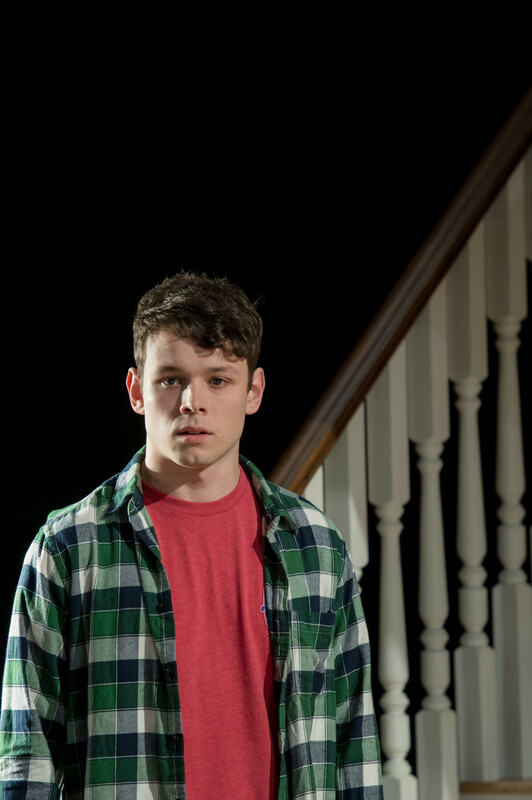 It is a wonderful moment, beautifully played by Sean Delaney, recent RADA graduate, and Skinner who distils to perfection the armour-plated control of a grieving mother harbouring violence just beneath the surface. Not a great play, despite its Pulitzer title, but observationally, sharp, sensitive, comforting and true. This entry was posted in 2016, Reviews and tagged American domestic drama, Claire Skinner, David Lindsay-Abaire, Edward Hall, Georgina Rich, grief, Hampstead Theatre, Penny Downie, Sean Delaney, Tom Goodman-Hill on February 14, 2016 by Carole Woddis.